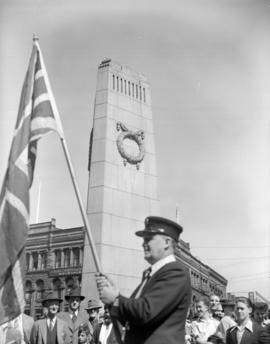 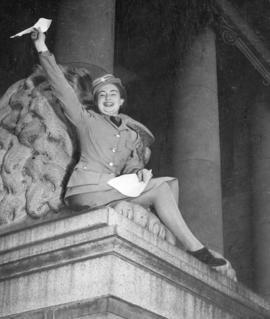 Photograph shows the Cenotaph and part of the Flack Block during celebrations on Victory in Europe Day. 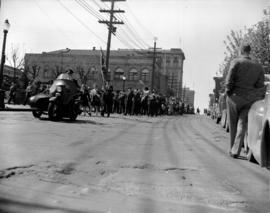 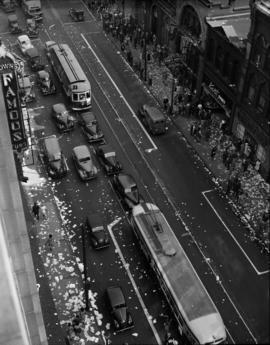 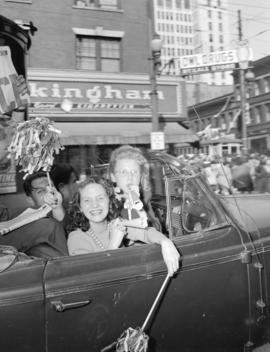 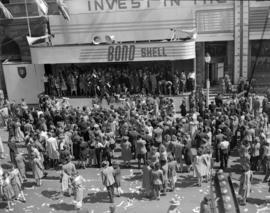 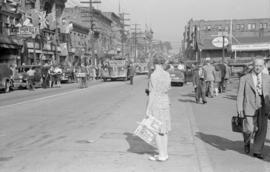 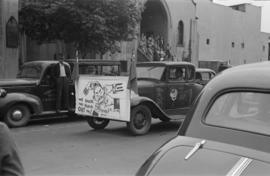 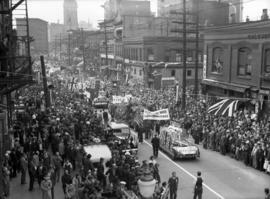 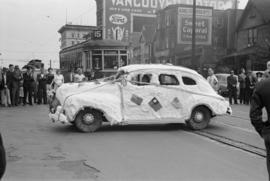 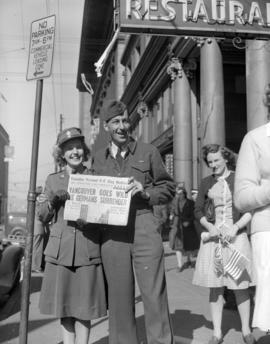 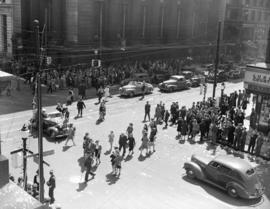 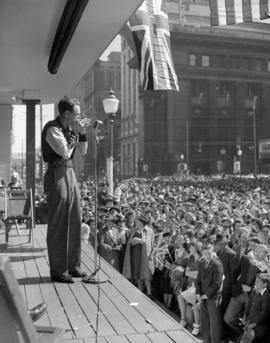 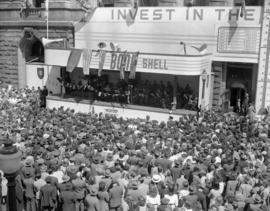 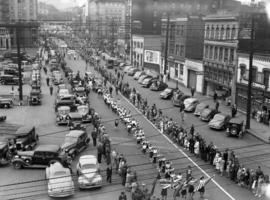 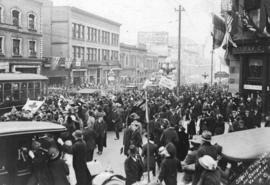 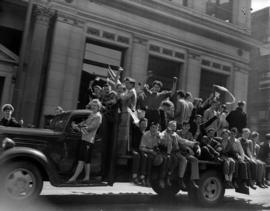 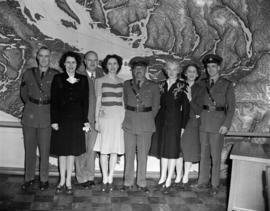 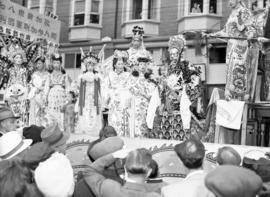 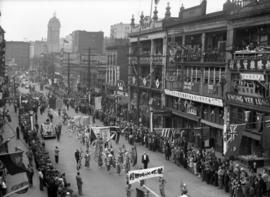 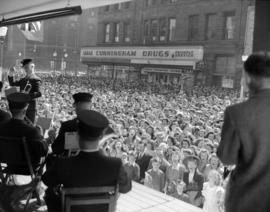 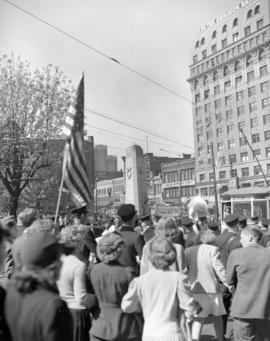 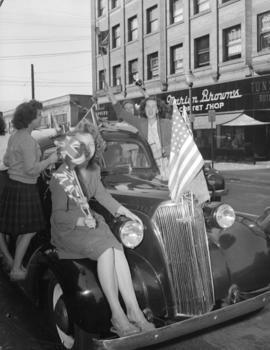 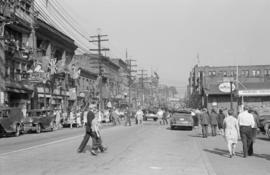 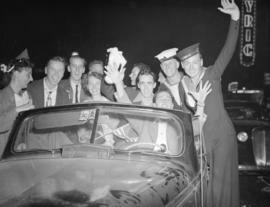 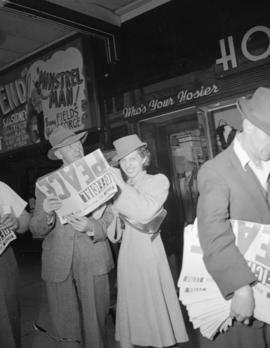 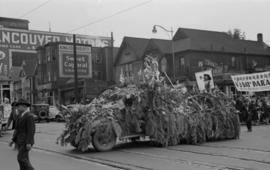 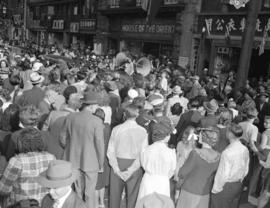 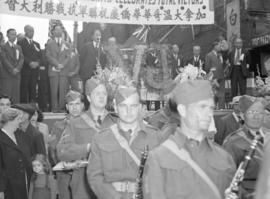 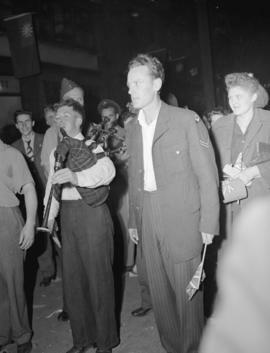 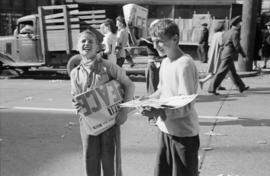 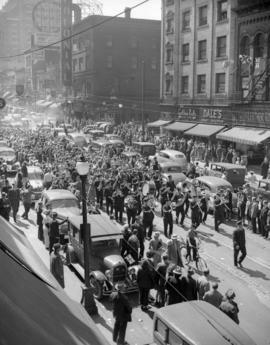 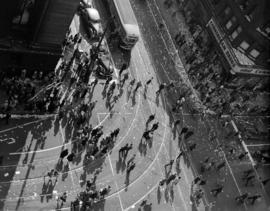 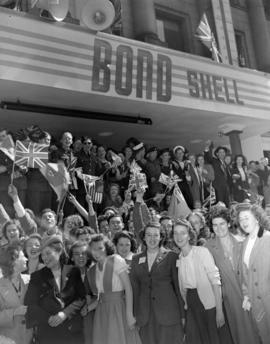 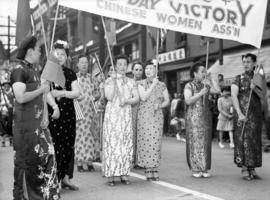 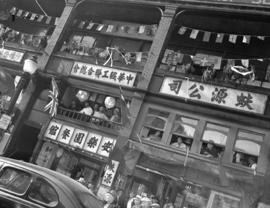 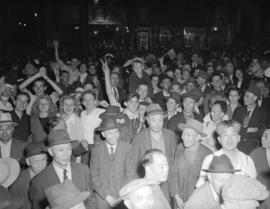 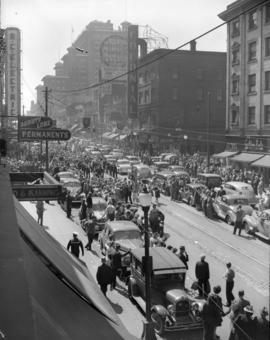 Photograph shows the intersection of Hastings Street and Granville Street during celebrations on Victory in Europe Day. 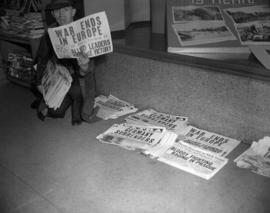 Vendor is selling newspapers with headlines "Germany Surrenders" and "War Ends in Europe". 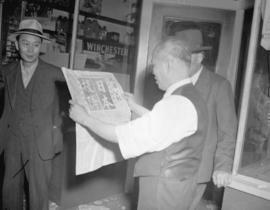 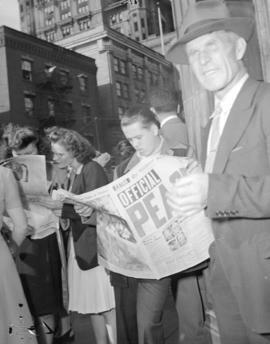 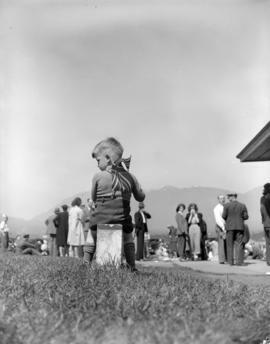 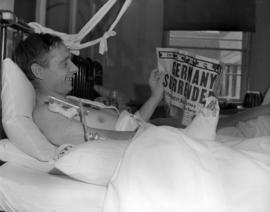 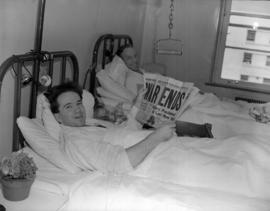 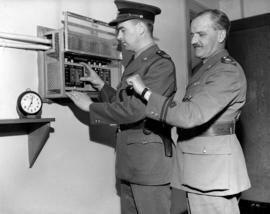 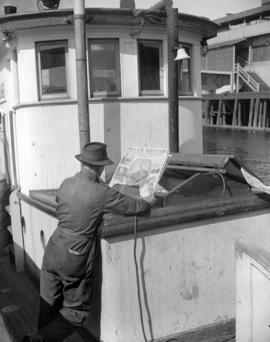 Photograph shows man in a hospital bed reading "Germany Surrenders" in the Vancouver Sun. 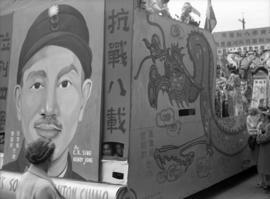 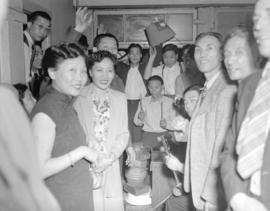 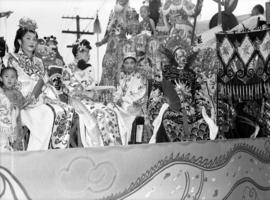 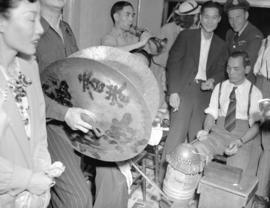 Photograph shows a portrait of Chiang Kai-shek (Jiang Jieshi), leader of of the Republic of China between 1928 and 1975.